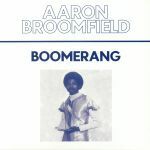 Review: For their latest trip into "in-demand collector cuts" territory, Edinburgh's Athens of the North shines a light on the work of obscure Miami artist Aaron Broomfield. 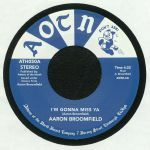 "I'm Gonna Miss You" originally appeared on Mountain Records in 1981 and has become something of a sought-after record in recent years. It's a brilliant chunk of rubbery Miami synth-funk rich in mazy synthesizer solos, elastic slap bass and the urgent hustle of P-funk. Over on side B you'll find the cosmic soul bump of "Does Anybody Really Know", which appears to a previously unreleased vocal workout featuring some deliciously fuzzy electric guitar solos.